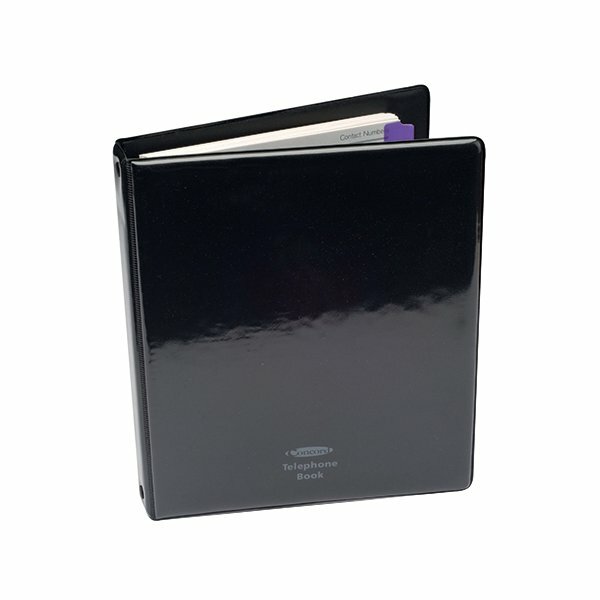 Keep hard copy records of contact information in one convenient location using this traditional style Telephone Address Book from Concord. 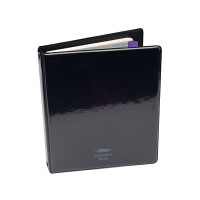 Sized to A5 with space for multiple entries per page, this hard backed folder stores and protects the details of your friends, family, customers or employees in a safe space. There is no need to rely on complicated technology or run the risk of loss of memory on digital archives.